Attention all Chocoholics! 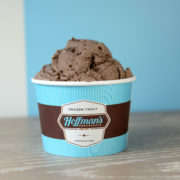 Hoffman’s Chocolates is NOW AVAILABLE on UBER EATS! 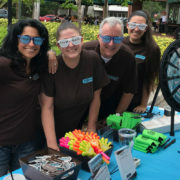 The gourmet chocolatier announced its partnership with the popular app to provide delivery from its Las Olas Boulevard retail store in Fort Lauderdale located at 920 E Las Olas Blvd. 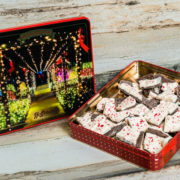 Hoffman’s Chocolates delivery menu currently includes the chocolatier’s famous Double-Dipped Milk and Dark Chocolate Pretzels, Classic Milk and Dark Chocolate Assortments, Coconut Cashew Crunch and Peanut Brittle. 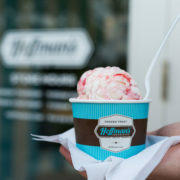 In addition, Hoffman’s Chocolates famous ice cream can also be delivered to your doorstep, with 4-scoops or quart options available in addition to tasty toppings choices. Please visit Uber Eats for the full delivery menu. 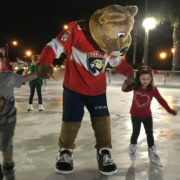 The delivery fee is currently set at $3.99 per delivery and will serve the downtown Fort Lauderdale area. 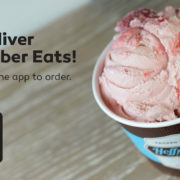 For a limited time, Hoffman’s Chocolates fans who order from the Uber Eats app will receive a special promo coupon in their delivery bag for a future purchase in-store. 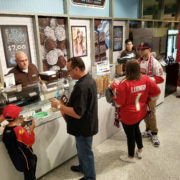 Plans exist to expand the delivery service to other Hoffman’s Chocolates retail stores located throughout Palm Beach and Broward Counties, in the near future. 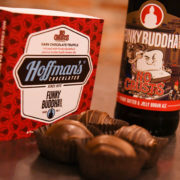 Hoffman’s Chocolates is pleased to announce a new gourmet chocolate truffle flavor created with Funky Buddha Brewery’s No Crusts Peanut Butter and Jelly Brown Ale– No Crusts Dark Chocolate Truffle. The namesake truffles come in a four-pack that retail for $12.95 per box. They are now available at more than 80 Publix Supermarkets in Broward and Palm Beach Counties. The No Crusts Dark Chocolate Truffles will also be available at Funky Buddha Brewery located in Oakland Park and Hoffman’s Chocolates retail locations in Broward and Palm Beach Counties later this month, while supplies lasts. Hoffman’s Chocolates and Funky Buddha Brewery, two South Florida legendary food and beverage companies, have been collaborating on this unique peanut butter and jelly truffle flavor since the fall as part of the Brewery’s Celebrate Local Pairings program. The four-pack of No Crusts Dark Chocolate Truffles are being sold alongside Funky Buddha No Crusts Peanut Butter and Jelly Brown Ale at select Publix locations throughout the holiday season. Publix Supermarkets also carries Hoffman’s Chocolates assorted chocolates, sleeves of the dark and milk pretzels, Coconut Cashew Crunch, and Peanut Brittle. 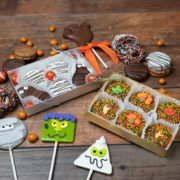 Click here for a full list of Publix locations that sell the new No Crusts Dark Chocolate Truffles.